“No, we are not targeting a specific company. We are working with all of our partners,” said Tavares at a press event in the southern Indian city of Chennai, according to Reuters. Last month, Robert Peugeot, president of Peugeot family holding company FFP, told French daily Les Echos he would support a new deal, suggesting Fiat Chrysler would be among the potential partners. “With them, as with others, the planets could be aligned,” he was reported as saying about a potential merger. FCA officials declined to comment at the time. 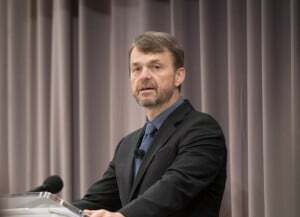 FCA CEO Mike Manley has said the company might be open to talks with other automakers. 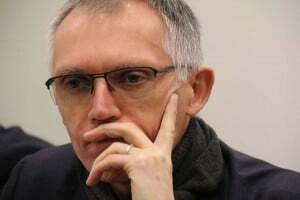 Peugeot’s remarks followed reports Tavares was open to a possible partnership with another company. Other companies said to be in the mix include General Motors and Jaguar Land Rover. This entry was posted on Wednesday, April 3rd, 2019 at and is filed under Asia Pacific, Automakers, Business, China, Europe, Executives, FCA, Markets, NAFTA, PSA, Personalities, Peugeot, Sales, South America, U.S./North America. You can follow any responses to this entry through the RSS 2.0 feed. Both comments and pings are currently closed.